Whoever after due and proper warning shall be heard to utter the abominable word "Frisco," which had no linguistic or other warrant, shall be deemed guilty of a High Misdemeanor, and shall pay into the Imperial Treasury as penalty the sum of twenty-five dollars. Presumably, he accepted payment in regular U.S. tender, which he must have then converted to his own currency, consisting of notes in a range of 50¢ to $5 denominations. This Norton I currency was humbly accepted at tall the finest restaurants and most fashionable theater houses in town, despite having no federal backing whatsoever. fraud and corruption prevent a fair and proper expression of the public voice; that open violation of the laws are constantly occurring, caused by mobs, parties, factions and undue influence of the political sects; that the citizen has not that protection of person and property which his is entitled. Sound like perpetually familiar times? An inspiration, His Excellence went on to summon the army to depose the Congressional dissidents who boldly remained in office. And when they still didn't get the message, he went ahead and abolished both the Democratic and Republican parties. No armchair politician-hater, he. 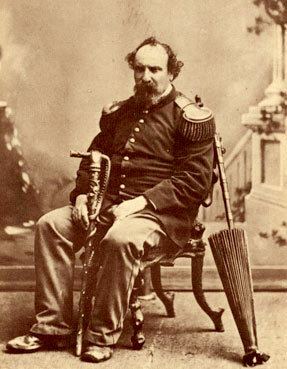 Given, Emperor Norton I may not have received the recognition he proclaimed and so obviously deserved nationwide, he was well-loved in our haven of do your own thing, king if you want to be, city by the bay. 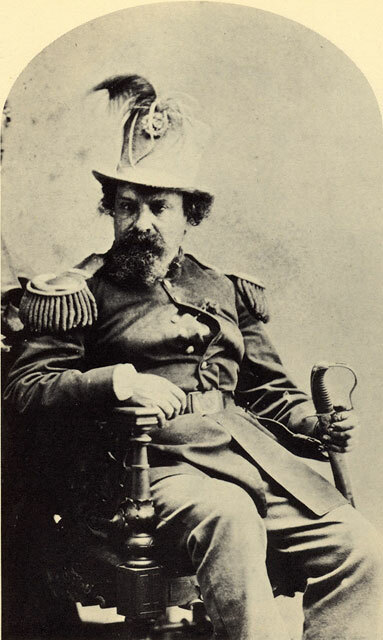 His edicts were regularly published in the local papers and restaurants prided themselves on their little "By Appointment to his Imperial Majesty, Emperor Norton I of the United States" brass plaques installed by their doors. So it was totally standard when 30,000 people turned out to mourn the news of his death in 1880. He had died swiftly and forever at the intersection of California and Dupont Street, on his way to a lecture at the California Academy of Sciences. Mark Twain and Robert Louis Stevenson immortalized him. And in 2004, some folks even tried to name the Bay Bridge after him (they could not). For our part, we Lady Shopkeepers of Gravel & Gold call upon the ghost of Emperor Norton I and invite him to come on by the shop sometime to pick up his free Profile of Awesome stripey shirt. We salute you, O king. May your invented name, and the boldness of your unwarranted proclamations, reign forever in our hearts.